We would like to thank you for helping us purchase our home, with your professional guidance and knowledge; you were able to find the right home for us. We feel that you really took the time to understand our needs and preferences in a new home. You were positive, persistent and supportive throughout and kept in constant contact. 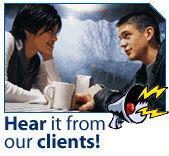 You gave us excellent advice based on your strong understanding of the real estate market. Thank you also for the follow up since our home purchase! We are absolutely enjoying our home and neighbourhood. We would highly recommend you to anyone in need of real estate services. Once again from the bottom of our hearts, we appreciate all your support and help in purchasing our first home. Being a new home buyer is a scary process even for the most prepared individual. Looking back now, I can say for certain it’s the real estate professionals you meet along the way that make all the difference. After a disappointing result with the first real estate agent I met a friend recommends that I give Mohamed a call to help with my search. From my first encounter his professionalism, wealth of information, and friendly demeanour immediately calmed my anxiety. He took the time to clearly understand what I was looking for, and within 3 weeks we had found the perfect place. Having someone who has your best interest at heart and is knowledgeable ultimately proved to be priceless. "Mohamed was a pleasure to deal with throughout our initial home sale and purchase of a new home. He was always there whenever we needed him and his expertise and knowledge was invaluable to us. We cannot be any happier with his service."